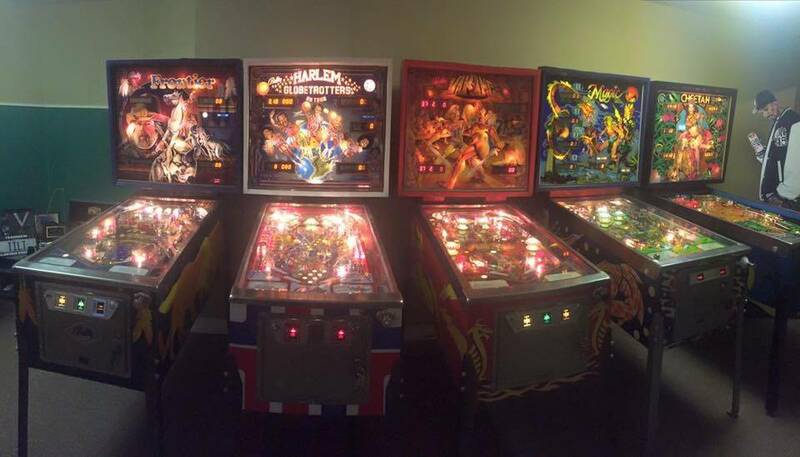 » Forum » All Pinball » You Can Only Have 1 Pin in Your Collection. What Will it Be? » You Can Only Have 1 Pin in Your Collection. What Will it Be? You Can Only Have 1 Pin in Your Collection. What Will it Be? There are 102 posts in this topic. You are on page 1 of 3. Say you could only have 1 game in your collection and no option to swap it out. What game would it be, and why? For me it would have to be a game that has deep and (at least mostly) completed code. I love old solid states but not sure how they would hold up in a 1 game collection. I'm going with TZ. So much going on and there are many different ways to approach the game, so it would keep my attention for a long time. acdc for me. same reason. many ways to play the game. Walking Dead Pro is deep, challenging and the code is phenomenal. You need to have a strategy from the get go. I've owned quite a few Sterns and this one by far I would deem the most complete. With the 5 basic modes , Barn, CDC, Riot (2x playfield), Tunnel and Arena to get you started, followed by Bicycle Girl which you can stack at the same time as the modes and with either Prison multiball or Well Mb. You can also in theory stack Prison MB, Bloodbath MB, Bicycle Girl and a basic mode. Woodbury shot for the extra ball is tough and rewarding. You also have Siege, Last Man Standing and Horde which are a real challenge on their own. Skill shots that actual require skill. The soundtrack is very good along with the art of the game. You can also if you want upgrade the sound with the TV show (someone here made a patch). This would be my first bet by a mile. Especially at the price point. Looking like it might end up being Alien eventually for me. Now, ikd, probably one of the other two i own, i guess (LotR or WH2O). My pick might be TZ as well. It's my all-time favorite game, and it can be approached in many ways. However, I have a lot of people other than myself that play games, and that makes me think that AFM might be a better choice as it is probably the best "pure" pinball machine ever created. If there's a perfect pinball machine out there, it's probably AFM. Choose only one,i dont even have to think it over , Right away Metallica ! The game room I visited daily when I was younger had one right next to a TZ and it was always conundrum which one to play, but usually TAF won out unless it was occupied. TZ would be a close second. It's a nostalgia thing for me though. I've got down to my Williams Jungle a couple of times. Something else always finds it's way back into the game room though. Probably WOZ but TZ would be a close second. I also wouldn't be upset with either LOTR or TH. I think I would be happy only having TZ... but also having owned WOZ for coming up on a year now and not even being close to tired of it, going to have to go with WOZ, for the same reason as those going for TZ. Super deep rules and lots of ways to play/approach it. Also it can be setup to be friendly to new players and has lower level objectives anyone can reach in addition to all the deeper modes. Further, its simply a bueatiful game to look at with a spectacular light show and fantastic audio. I would have to pick my first pinball love, Scared Stiff. She's still my go to machine when I get to Phoenix games early on league night. A close second would be Medieval Madness. AFM for me as well. I would say WOZ for me but we would never spend nearly $10,000 for a pinball machine so it is likely I'll never own one. The ONLY reason I would pick WOZ is because my wife loves everything WOZ from the original movie to the pinball machine. I like the build quality of Jersey Jack machines but I doubt I'll ever own one because of the cost. the only correct answer is a virtual pin, because no matter what game you pick. it will get old if it's only one game. Virtual pin would be close enough but offer a wide variety. I cringe at the thought of having just one... but I'd go with STLE. Even though it's not my overall favorite (which would be either Tron or IM), it has the perfect mix of depth, speed, and flow for a one game collection. I'm also a sucker for outstanding light shows, third flippers, and generic playfields which rely heavily on primitive vector shapes and the bevel & emboss filter. Nearly said LOTR, then nearly said TWD but I think it would be Spiderman. Really well balanced rules. Good shots. Good flow and a very achievable (but not easy) wizard mode. From my current collection, I'd keep NGG. I love trying to put up a high score on it. If I ever walk by them and turn one on for a quick game, it's always gophers. I have only 1 now - theatre of magic. It was dream pin for me I bought it first after I started my divorce. As soon as I have a bit more room I'd like to get a few more. If I could have only 1 game, it would be AFM. I do think IMO the best game is AFM. Even though I love Tron I need an AFM more I think. Diner - the whole family loves that game. Xmen Pro with a ColorDMD. Wife's dream theme as she grew up reading Xmen comics. Bought it NIB in 2012. It will never leave. ...and I expect at some stage I will sell all my games and get a P3 instead. At this point The Hobbit. Tough call probably my IJ proto. A Twilight Zone that plays perfect. Probably still st:tng for me with tron a darn close 2nd.